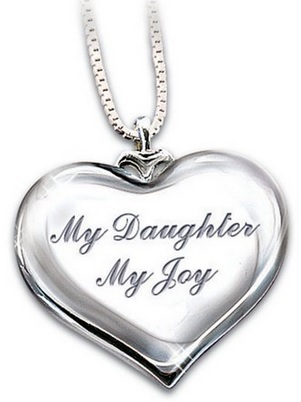 Daughter Necklaces: Best Jewelry Gift Idea for Daughters of All Ages! The Most Beautiful Necklaces for Daughters! Daughter necklaces make the best jewelry gift idea for daughters of all ages! It’s something they will treasure for the rest of their lives! I found so many of them out there, each one more beautiful and special than the next that I decided to create this page today displaying a few of my favorite ones! 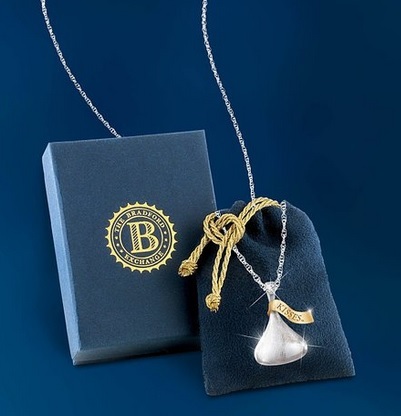 I am also looking for a nice jewelry gift idea for my daughter and I decided I am going to give her a beautiful mother daughter necklace too! 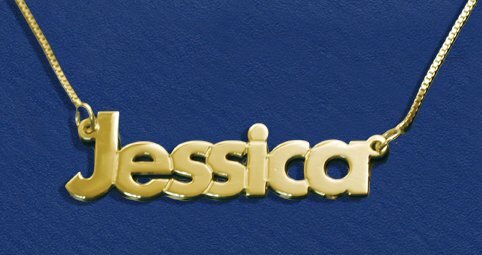 A simple 14k gold name necklace! One of the best personalized necklaces for daughters in my opinion! 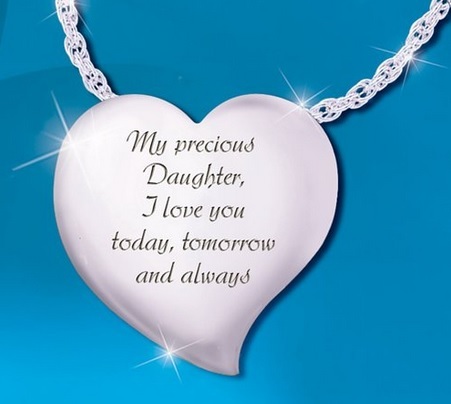 One of the cutest meaningful heart-shaped necklace for daughters with a beautiful message out there! A very nice gift idea for daughters anytime! Now here comes the nicest touch! It comes in a beautiful keepsake box that plays the song ‘Have I Told You Lately that I Love You’! Another gorgeous heart-shaped pendant necklace idea for daughters! It has two sides: One it’s the one you see on the picture, with the beautiful message inscribed, and the other one is a two-tone gold and silver heart with a sparkling diamond accent! It also includes the silver chain. What a fun and creative necklace for daughters! It is a beautiful sterling silver Hershey Kiss pendant that says ‘Kisses for My Daughter’ at the bottom! It also has a cute and sparkly single diamond accent and a gold ‘kisses’ tag! 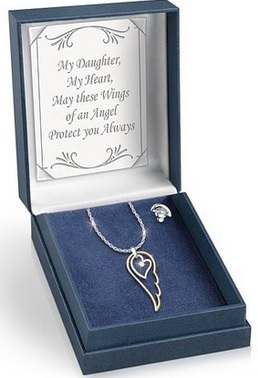 Another beautiful and meaningful engraved heart-shaped daughter necklace for sale! 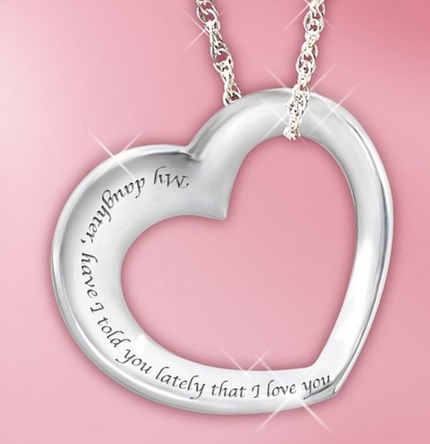 This one says: ‘My precious Daughter, I love you today, tomorrow and always’ and it’s also made from sterling silver and it has 3 sparkly diamonds in the front! 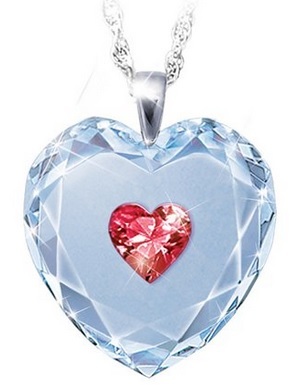 Beautiful Heart Shaped Crystal Pendant Necklace for Daughters! This is one of my favorite heart-shaped daughter necklaces being sold! 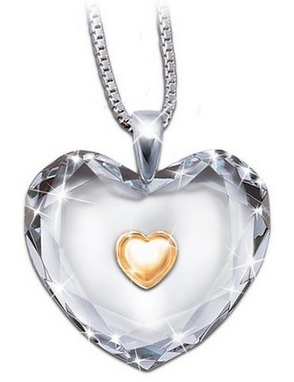 It is a stunning and sparkling heart crystal with a beautiful gold heart inside! It represents your daughter’s ‘heart of gold’! Inside the gift box there is a beautiful poem card that reads: ‘Dearest Daughter, Of all the precious qualities you hold the dearest of all is your Heart of Gold’…. Awesome Crystal Heart Pendant Necklace For Daughter with her Birthstone! This is the perfect daughter necklace! Besides being a gorgeous and sweet crystal heart, it also comes with your daughter’s birthstone inside! Just select your daughter’s birthday month and the colorful heart shape stone inside the heart will change accordingly! Another perfect necklace to give daughters! It is a gorgeous angel wing with a heart inside! Inside the heart, there is a sparkly diamond! This one made me cry! It expresses exactly how I feel about my daughter! I guess I have just found the one! Made from stainless steel and it is very affordable too! 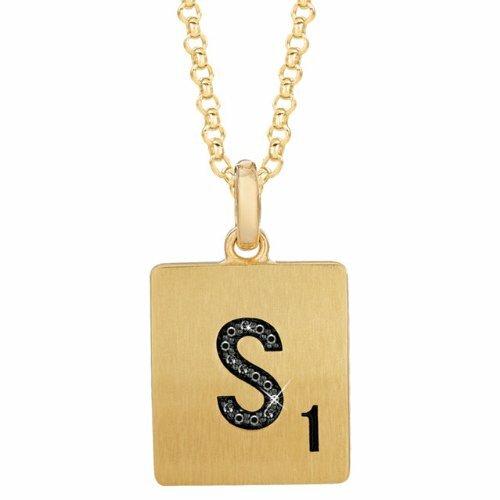 Fun Personalized Gold Plated Sterling Silver Black Diamond Scrabble Letter Necklace! Another fun necklace for daughters who love to play Scrabble is to give her her very own personalized Scrabble letter necklace! Just choose her initial and you will get it just like in the picture! It also comes in a fun Scrabble box! *I hope you liked my selections of daughter necklaces on this page and were also able to choose the best one for your beautiful daughter!